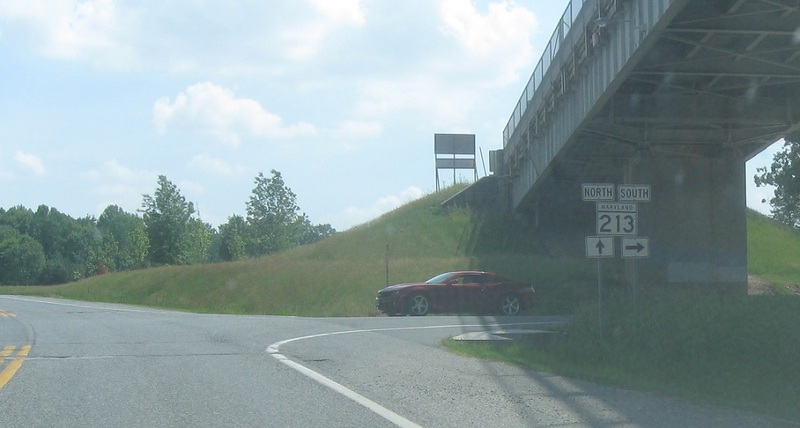 Immediately after MD 342, we’ll approach MD 213. Turn right to loop around to 213 south. Stay straight to access 213 north to head up over the Chesapeake and Delaware Canal.